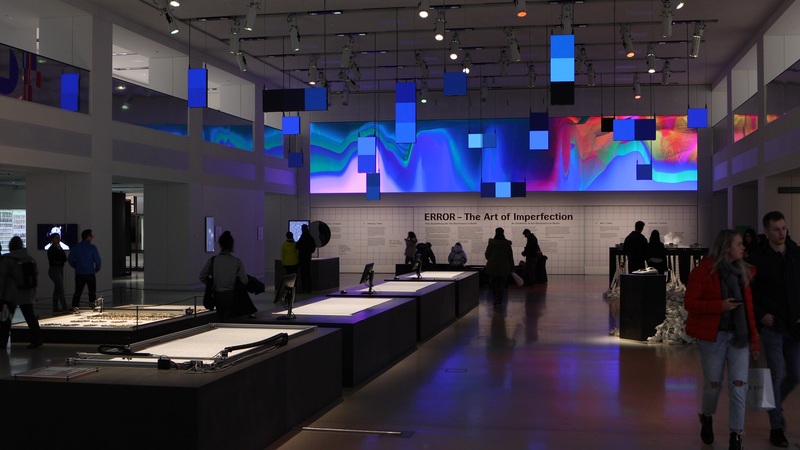 Audiovisual Room Installation, Ars Electronica Export Exhibition 2018, VW Drive, Berlin. In cooperation with Claudia Rohrmoser. 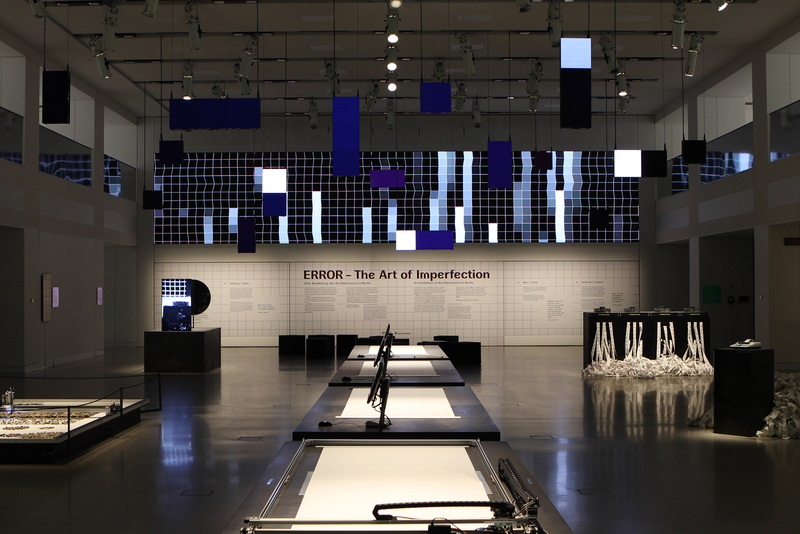 The DIN lighting installation performs standardization work. 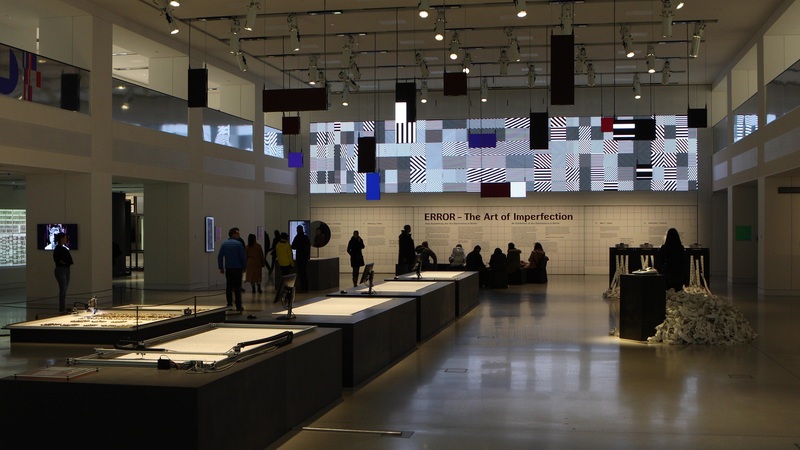 Thirty LED screens, distributed in the airspace of the exhibition, are in a state of uncertainty and trigger signal errors throughout the media system. 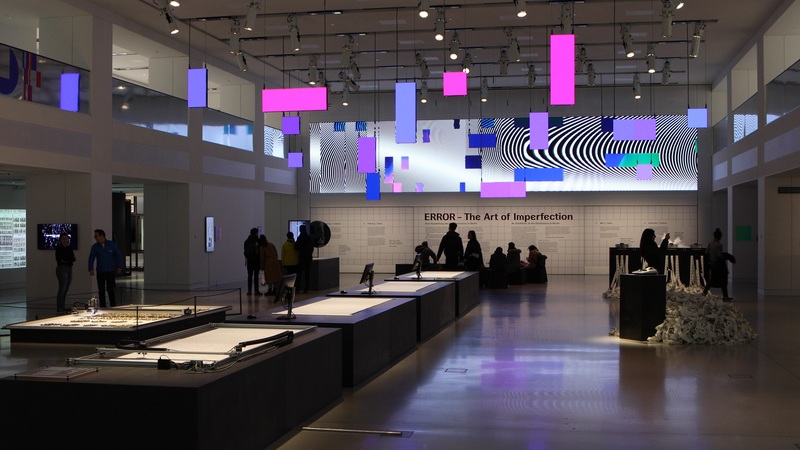 The signal errors accumulate, and the entirety of screens and lights of the exhibition start to glitch and break down. 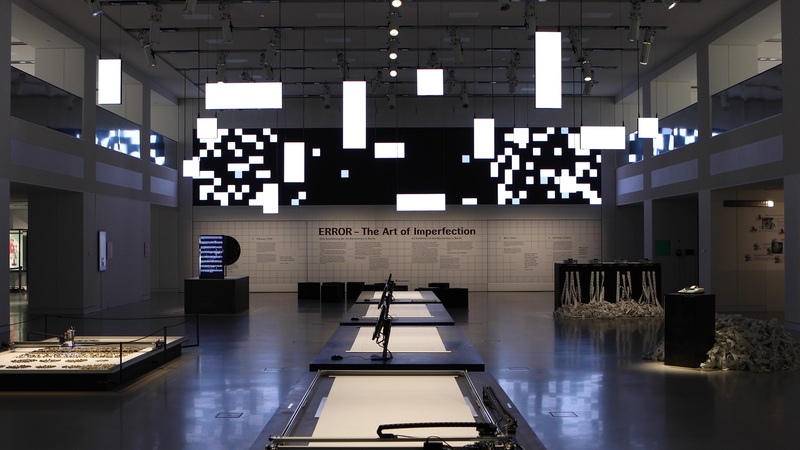 In a process of self-regulation, all digital displays run through rituals of calibration over and over again, without ever reaching an ideal and error-free state of operation. The continuous attempts to optimize itself lead the system into a new state of ‚normal‘, a normal that incorporates the error. 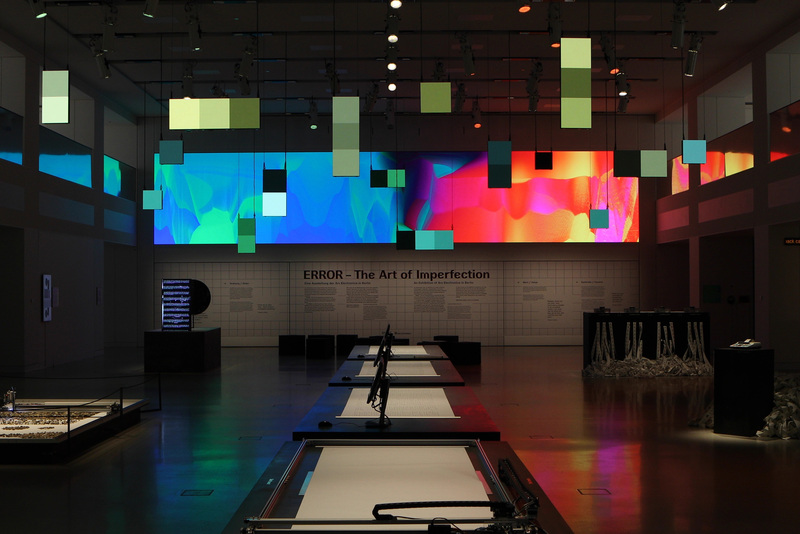 The light and video installation DIN was installed at the Ars Electronica Export exhibition 2018 in Berlin.